Luxury Minivans have always been the point of attractions because of their incredible interior space coupled with versatile features such as Heated Seats, Beautiful entertainment systems with home theatre like experience and top of the line safety systems etc. So here are top 13 best luxury minivans which you can consider to buy in 2018. The 2016 Chrysler Town & Country could be a luxury minivan from 2016 era but it still boasts lots of features to call it one of the finest luxurious minivans at present. The Limited Platinum trim of this minivan is equipped with the powerful 506-watt audio system which can give home theatre like entertainment experience. The seats of the top model are designed in supple Nappa Leather, whereas the steering wheel is covered in wood and leather wraps for the premium feeling of luxurious driving. The vehicle is equipped with heating systems for first 2 rows whereas the 3rd seating is equipped with power folding feature. Dual Screen entertainment compatible with HDMI enabled gaming, Bluray and DVD make up the perfect space for the passengers. The vehicle has gotten sophisticated blind spot system for safe driving. In terms of the exterior, the van has got 17-inch aluminium wheels with patented paint schemes. 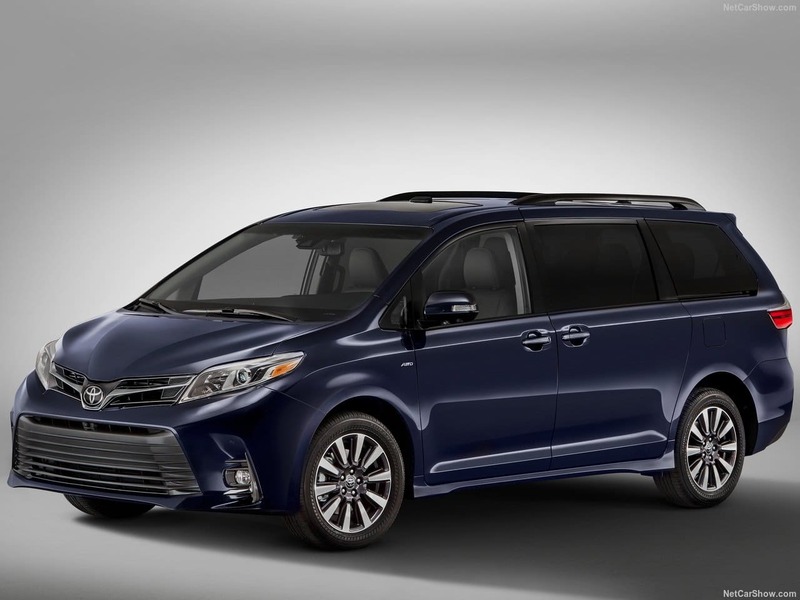 Toyota is known for reliability along with lots of features and this is the reason it’s touted as finest luxury minivan available in the market. The seats of the Toyota Sienna are trimmed in leather and the front row seats have got multilevel heating facility along with the multipower adjustment for the driver. The best part about Toyota Sienna is its infotainment equipped with Toyota’s App Suite, Navigation and 10 speakers of JBL audio systems. The seats of Toyota Sienna are loungers which have their own comfy arm cushions and fold out ottoman for leg support. For 2nd and 3rd row seats, the dual screen entertainment system is enabled. The 2016 Nissan Quest is one of such luxury minivans which can be found directly in nearby store. The Nissan Quest has got the stylish exterior with premium interiors and luxurious features such as heating facility which takes care of the body parts sensitive to cold. One of the unique features of Nissan Quest is the Bad odour management system, whenever there is any foul smell the vehicle closes it’s air intake system and circulates the system for detecting the foul odour. Once the odour is detected it re-opens its air intakes and the foul smell is left out. Other useful features of Nissan Quest are climate control system, driving assistance, Bose Audio system, 8-inch multimedia system, Moving Object Detection etc. The 2016 Dodge Grand Caravan is often touted as one of the affordable and luxurious minivans available in the market. This luxury minivan has got Black Torino Leather Seats in cabin styles along with leather-wrapped steering wheels which give it icing on the cake like feel. The 2nd row and first row have got efficient heating systems so that the passenger, as well as driver, get the warmth of pleasant journey in cold climate. 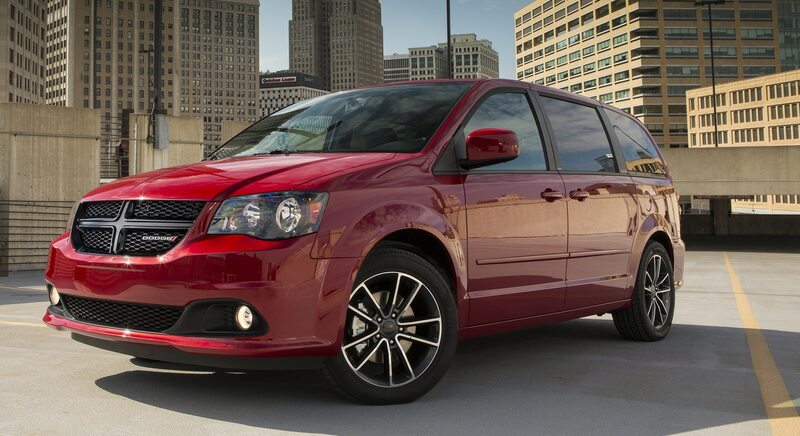 The Dodge Grand Caravan is equipped with sports suspensions for smooth driving experience over the semi-rough terrain. Furthermore Dual screen entertainment system, blind spot monitoring etc. are the necessary features available in this vehicle. 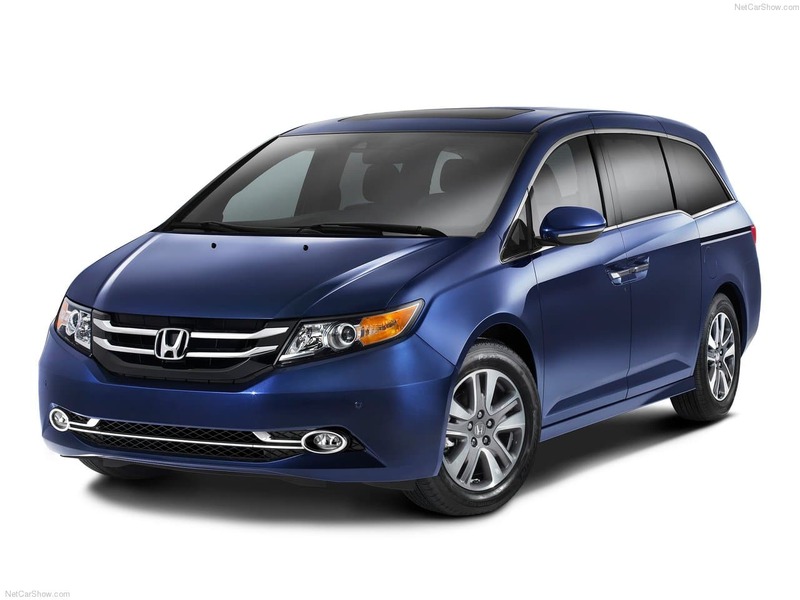 The Honda Odyssey always is known as popular luxury minivan since the long period of time. The most top trim of Honda Odyssey ie. Touring Elite has front and 2nd row of seats trimmed with leather and the driver seat can be adjusted in 10 modes for better comfort of the driver. The Honda Odyssey has driving assistance features such as Lane Departure, Forward Collision and Blind Spot Monitoring systems for better safety. The vehicle has got high-quality WVGA display along with 12 speakers in 5.1 theatre mode and HDMI input for gaming. 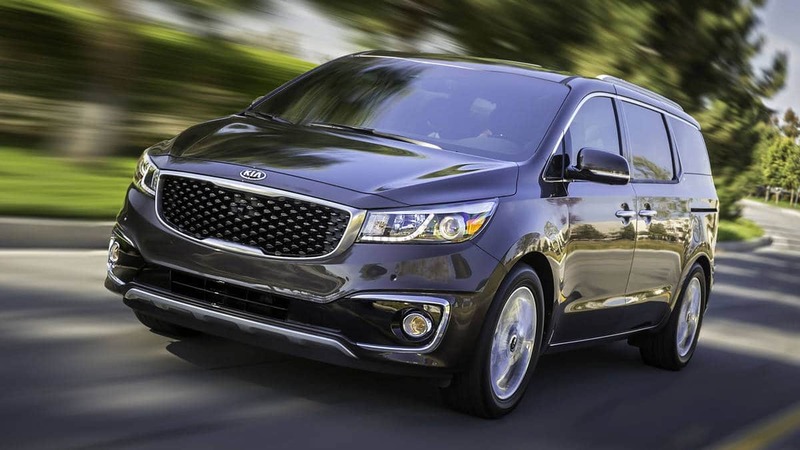 The 2016 Kia Sedona is such luxury minivan which was well waited since it’s the best performance in 2015. Kia engineers redesigned the Sedona and added few more features which make it top of the line ranges. The Nappa Leather seats, the heating facility for first and second rows, power folding features for 3rd row make Kia Sedona as the perfect luxury minivan for the consumer. Nonetheless, to say, the Kia Sedona provides the feeling of Airplane like the luxury. The 2017 Chrysler Pacifica fits as perfect in luxury minivans category with all features. The vehicle has got 12-way power adjust for the driver seat along with heating and ventilation feature for 1st and 2nd-row seats. The 1st and 2nd-row seats also get the facility of the sunroof to experience the open air breathing under the sky. Furthermore, the 3rd-row seats get the glass panel on top to enjoy the cosy sunlight. The Chrysler Pacifica is equipped with high power Harmon Kardon Audio system along with widescreen entertainment system. The vehicle also possesses hands-free sliding door for the convenience of the passengers. 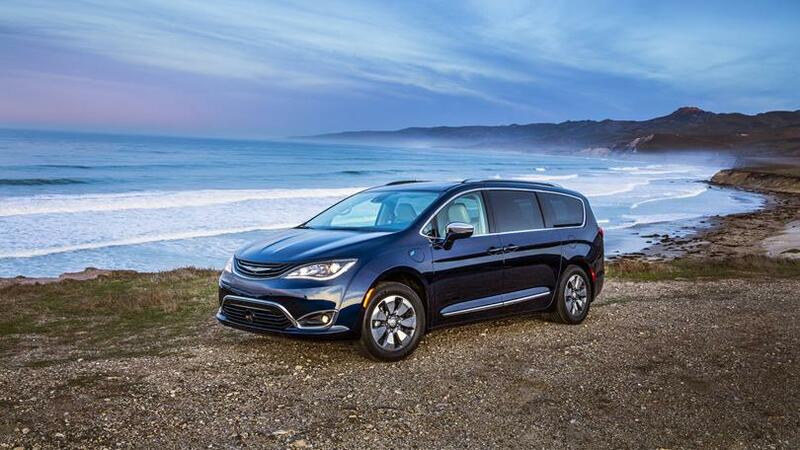 The Chrysler Pacifica is fitted with modern safety features such as lane departure monitoring, collision alert, blind spot monitoring systems etc. The Mercedes Benz is the reliable brand in minivans category and The Metris is often counted as the luxury minivan. The Metris can accommodate 8 passengers and the 1st row of seats are fitted with heating facility along with adjustable settings. The seats are leather trimmed and the vehicle has got the powerful multimedia system. Furthermore, the Metris has got navigation assistance, blind spot monitoring alert, lane departure system etc. The 2017 Honda Odyssey Touring Elite is the only luxury minivan which comes equipped with HondaVac cleaning system and HID headlights. The Honda Odyssey has got the leather-trimmed seats along with heating facility for 1st and 2nd-row seats. The Driver seats can be adjusted in 10 power way. The Odyssey has been fitted with widescreen entertainment system along with 650 watts powerful 12 speakers audio system. The safety features include navigation assistance, forward collision monitoring and alert system etc. The 2017 Kia Sedona SXL is one of such luxury minivans which easily compete with the top of the line other minivans yet it’s price is quite affordable. 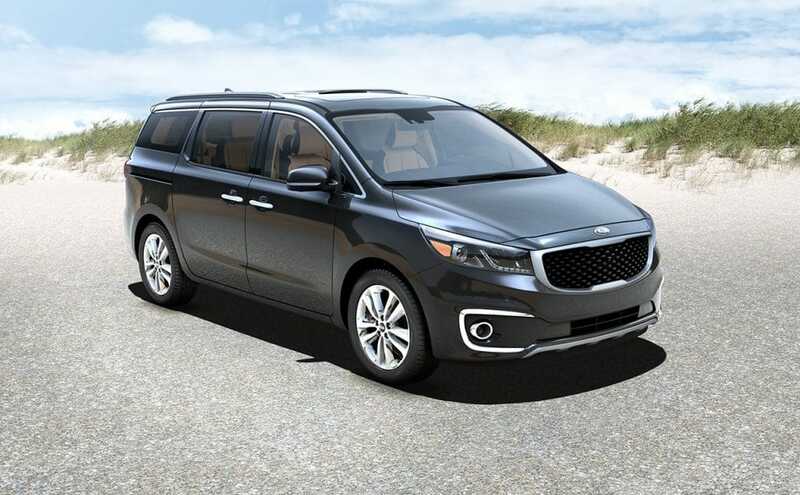 The SXL trim of Kia Sedona has got safety features such as automatic emergency braking system, navigation assistance, HID headlamps, lane departure warnings, blind spot monitoring and alert system etc. The 2017 Toyota Sienna is the only luxury minivan which comes with the all-wheel-drive configuration. The Toyota Sienna comes with heating facility seats with leather trimming, leather-trimmed steering wheel, comfortable arm cushions and ottomans for leg support and dual moonroofs. 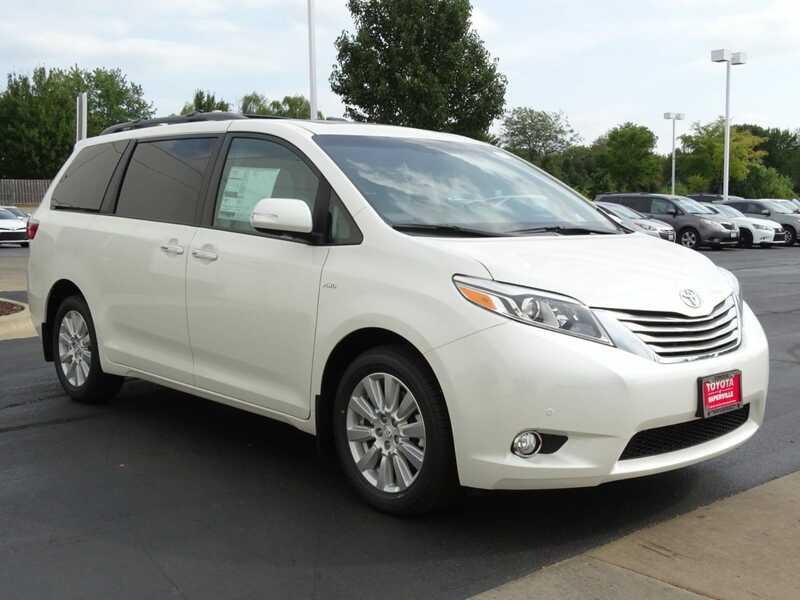 Additionally, the Toyota Sienna is fitted with HID headlights and climate control system. The 2018 Honda Odyssey is the redefined luxury minivan from its 2017 model. The 2018 model comes with the host of useful and luxurious features such as intuitive entertainment system and advanced safety features. The luxury features are heated steering wheel, rain-sensing wipers, climate control system, LED headlights etc. 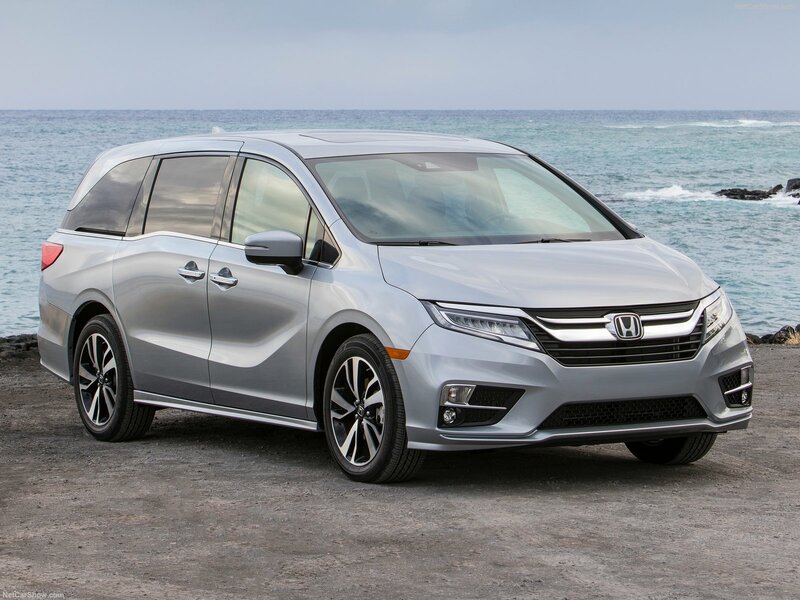 The 2018 Honda Odyssey is the first luxury minivan with Apple CarPlay and Android Auto connectivity. Furthermore, the Odyssey has features of LTE connectivity with Wi-Fi hotspot feature and rear view camera for the safer driving experience. The 2018 Toyota Sienna Limited Premium is being rumoured to have the features of luxury cars also. 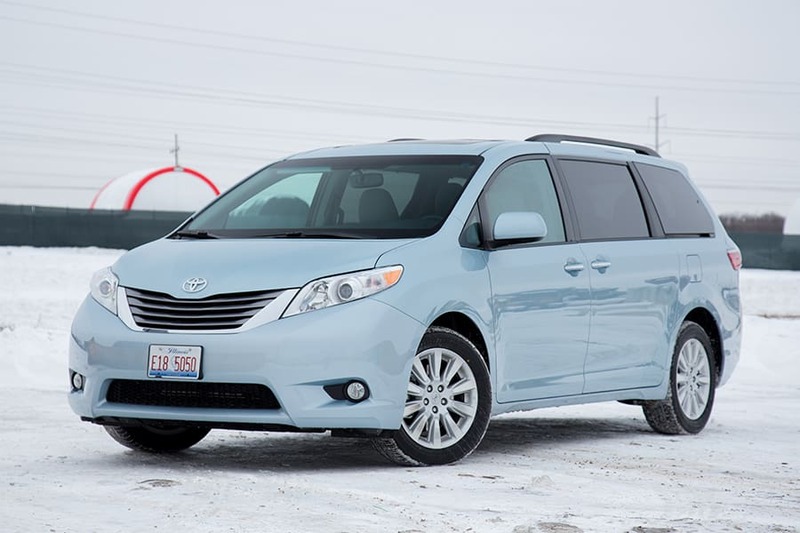 This luxury minivan is equipped with emergency automatic braking, pedestrian detection and cruise control features. The 2018 Toyota Sienna Limited Premium has safety features such as lane departure warnings, collision alert systems, blind spot monitoring system. The Front windshield will be laminated glass and the side windows will be equipped with outside noise cancellation facility. Luxury Minivans have been famous for their versatile features and facilities. 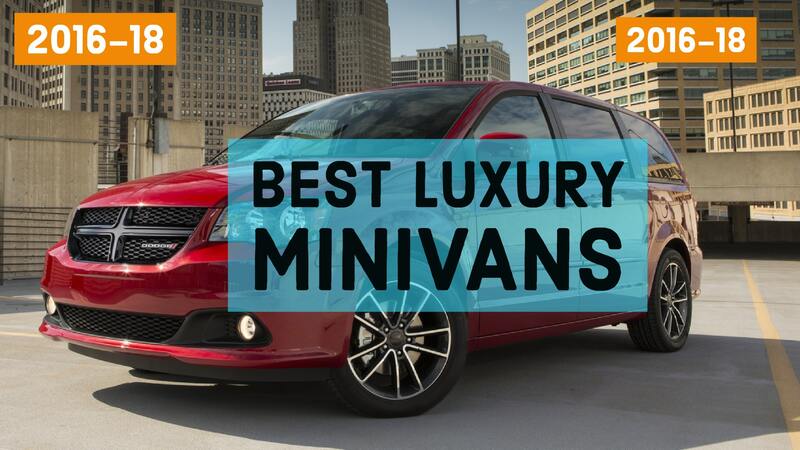 Check out Top-13 2018 luxury Minivans list to choose from! Check out this handy pictures guide to look for best value for money luxury minivans from 2016-2018. I’ve been having thoughts if I will buy a 2016 Toyota Sienna because it seems like it’s family friendly. Anyways, great list! Will surely think through this if I would be buying Toyota. I was wondering why Tesla Model X is not on this list. I am not a tesla fan, but I think that car should be here in the list. Thanks for valuable feedback Sudipta We’d Love to include the Tesla Model X in the list, but The post is about Minivans for 2018 whereas The Tesla Model X is A SUV vehicle, However, we are soon planning to create a list of SUV’s to look for in 2018.